Numerous factors may contribute to the development of knee OA, including genetic predisposition, trauma, obesity, and activity selection, including vocation, recreational and sport activities, and lifestyle choices. The end result for the patient with severe knee OA is likely to be an arthroplasty procedure that attempts to salvage healthy tissues adjacent to the knee joint to enable continued function following device implantation. Total knee arthroplasty (TKA) at best represents a semifunctional desensitized substitute for the native knee joint. Some authors of this manuscript have referred to it as an “internal amputation of the knee” since all biological knee tissue is resected (Figure 1). Economics, as it applies to sustainability theory, considers the monetary and financial aspects of biological, environmental, and ecological variables from a multidimensional perspective.7 Growth that simultaneously depletes a biological system is not only uneconomic, it also leads to a decline in quality of life.8 This may be analogous to increasing body mass without a concomitant increase in lower extremity neuromuscular strength, power, and endurance; movement coordination; or cardiopulmonary and vascular system functional capacity. Increasing body mass under those conditions could have a negative effect on knee function preservation in addition to having a negative influence on general health. Sustainability theory suggests appropriate resource management better ensures environmental adaptability, preventing irreversible long-term damage to biological systems and human health. There is little doubt that TKA, when used as an end-stage intervention for knee OA, possesses strong efficacy for alleviating pain and improving function in older patients. Of concern, however, is an expanding market that includes younger patients with quality-of- life and societal interests that necessitate more functionally demanding knee joint impact-generating activities.18 Compared with the low-demand older patient population, there is limited evidence that TKA can provide long-term satisfaction that meets the expectations of a more middle-aged patient population, particularly if they have athletic interests other than golf or recreational tennis. Figure 1. Questions for patients with knee OA to ask themselves: Does my condition truly warrant internal amputation of my own knee tissue as the only alternative? 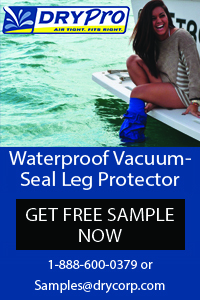 Could there be another way that I might manage my condition, preserving knee tissue, function, and quality of life? Patients need to be informed early in their medical, surgical, and rehabilitative care about potential knee OA progression scenarios and their potentially significant impact on quality of life from a more comprehensive and holistic perspective. This information needs to include appropriate sport or recreational activity selection, knee injury or reinjury prevention methods, and appropriate management of initial lower extremity injury experiences, including education regarding the potential for knee OA. This is particularly true if the patient has high functional activity expectations. 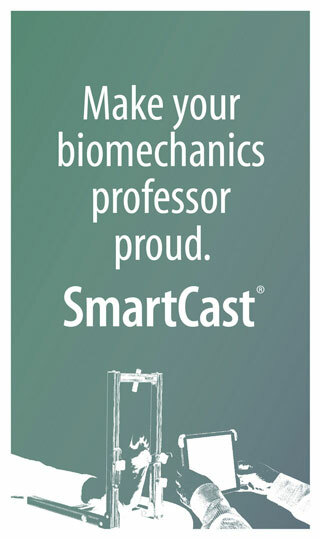 It is very important that patients develop a sound understanding that, if left unchecked without dedicated lifestyle and psychobehavioral changes, the condition of the knee will likely have a negative impact on quality of life in terms of activities and interests, societal-role participation, and general health. In today’s society, many individuals who are entering their fifth and sixth decades of life (and even older patients) have expectations of continued sporting activities, such as basketball, soccer, hiking, or higher-demand vocational pursuits, which may not be performed safely with any regularity following TKA. Although elderly patients frequently report excellent pain relief and improved function following TKA, their expectations, which to a large extent dictate satisfaction with an intervention, likely differ considerably from those of contemporary middle-aged individuals who have higher functional expectations in terms of their choice of activity and its intensity and frequency. So, when the knee OA diagnosis arises, or even if it has the potential to arise, the medical, surgical, and rehabilitation teams need to inform the patient of two likely scenarios. The first is that he or she agrees to implement needed psychobehavioral and lifestyle changes such as reducing body weight; stopping smoking; participating in an appropriate prescriptive exercise program with regularity; modifying recreational, sporting, or vocational activities to preserve knee function; extending native biological knee tissue longevity; and attempting to implement sustainability concepts to knee health. If successful, this will enable continued participat­ion in highly valued and desired quality-of-life enhancing activities and interests and reception of their multifaceted health benefits. Figure 2. 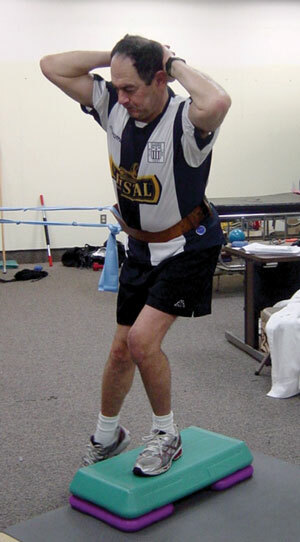 Trunk rotation with medicine ball resistance performed in half-kneeling position. This exercise helps integrate core and hip strength, postural control, and coordination to improve dynamic knee stability in standing. In contrast, let’s consider the second option. Suppose that the same patient decides to forgo needed changes, deciding instead to continue down the path of excessive body weight; smoking; poor dietary habits; poor exercise habits in terms of selection, intensity, and frequency; and continued stressful knee joint loading. With this, the knee OA condition is likely to be exacerbated, pain will increase progressively, function will decrease progressively, comorbidities will be more likely to manifest, societal and social roles will begin to diminish, and formerly feasible medical, surgical, and rehabilitative interventions will become less efficacious options. This process lends itself to a self-fulfilling prophecy that eventually leads to TKA. But at what cost, and what benefit? Pain reduction after TKA will likely be high. Function is also likely to improve significantly, but only in terms of walking, stair climbing, getting up from a commode, and low-level activities of daily living and recreational-level sports such as golf and recreational doubles tennis. More intense recreational, sports, and vocational activities the patient may greatly value as quality-of-life and societal-role enhancing will likely become off-limits to avoid excessive prosthetic wear, loosening, and early failure.21,22 Embedded within the second scenario is the possibility that enhancing the longevity of the prosthesis may take precedent over other highly-valued, functionally relevant, quality-of-life enhancing, and socially desired activities and interests. Figure 3. Single-leg dumbbell clean and press on Bozu ball to improve dynamic knee stability, trunk and lower extremity postural alignment, and balance and coordination during single-leg stance. What needs to happen to facilitate the first scenario rather than the second? It begins with effective and sincere patient education. It is important for the patient to understand the potential impact of positive psychobehavioral and lifestyle choices and the potential value of preserving existing biological tissues for as long as possible rather than prematurely surrendering to the lifestyle of an elderly person. To be successful, this educational process should be matter of fact, straightforward, have focused relevance, and be individualized so it is relevant and understandable to each patient. Simply stated, the patient needs to fully understand that if he or she desires the opportunity to save, preserve, and perhaps extend the longevity of the biological knee, he or she must implement the necessary psychobehavioral and lifestyle changes. Patients need to be instructed that, though they may not realize it now, if they successfully implement these changes, future treatment options as they get older will not be limited to only a salvage knee procedure designed solely for elderly individuals. To do nothing is to follow the second scenario, continuing poor lifestyle habits and pathological knee joint loading, setting the stage for an early TKA procedure. The first scenario is more difficult to accomplish than the second. However, if successful, its positive impact on quality of life and perhaps life expectancy may be enormous. The potential positive impact on quality of life may be greater than the impact restrictions that become mandated when metal and plastic components replace biological knee joint tissues. Figure 4. To improve self-efficacy and coping skills it is important that patients understand the relevance of each exercise in terms of how it could help improve their knee function and how it might relate to the quality-of-life enhancing vocational, recreational, or sporting activities they value. Use of social cognitive or learning theory concepts as part of a therapeutic exercise environment is essential to increase self-efficacy, coping skills, resilience, and self-education.15,24,26-28 If exercise is truly medicine, then it is essential to properly balance its selection and dosage. 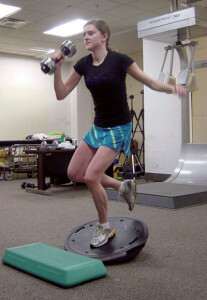 Too much or too little in terms of intensity, frequency, or total volume may exacerbate knee joint problems. Related to this is the type of medicine, or mode of exercise, that is selected. What biomechanical and physiological stimulation characteristics do the selected exercises present? Do their potential benefits substantially override any potential for exacerbating the patient’s condition or increasing knee injury risk? Overlying each of these considerations is the question: What will the patient learn from the selected exercises that can improve his or her capacity for knee condition self-management? (Figures 2-4.) 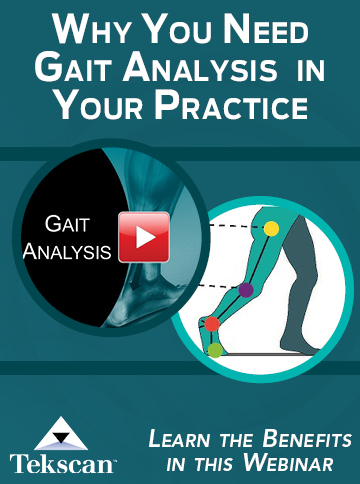 These factors may be related to improved postural alignment and control, enhanced dynamic knee stability, improved balance and coordination, and more. 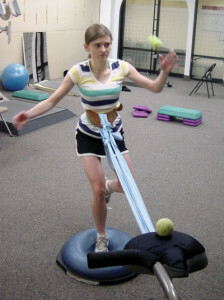 Effective rehabilitation clinicians select functional tasks that achieve the biomechanical and physiological needs of the patient, but that also lend themselves to needed central nervous system adaptations, motor learning, self-efficacy and resilience development, and improved decision-making and self-management skills. Figure 5. Too often, following seemingly “minor” lower extremity injuries, poorly conditioned patients are allowed to return to unrestricted sports activities, setting the stage for additional, more severe injuries and for the development of knee OA. The patient with knee OA and the knee surgeon are known to often have divergent conceptions of satisfaction following knee surgery.29 Prior to any medical, surgical, or rehabilitative intervention, the healthcare team must consider how likely the selected clinical care pathway is to satisfy patient expectations. Satisfaction of a patient’s preoperative expectations is the main factor influencing the subjective result following knee OA surgery. Patients with greater motivation and understanding of their condition are better able to continue sport, recreational, or vocational activity participation.30-34 Matching medical, surgical, and rehabilitative interventions to realistic patient expectations is an essential part of quality care. When considering whether a patient is a candidate for early knee arthroplasty or for a medical, surgical, and rehabilitative clinical care approach to the preservation of knee function, several factors must be considered. It is important to thoroughly analyze patients’ expectations (including how realistic they are), their understanding of knee OA, its likely progression if left unchecked, the benefits and risks of all possible interventions, the relative need for psychobehavioral change with each intervention, and sport, recreational, or vocational activity desires, history, and current habits.30 With this information, the healthcare team will be better able to know what steps are needed to truly achieve patient satisfaction (Figure 5). 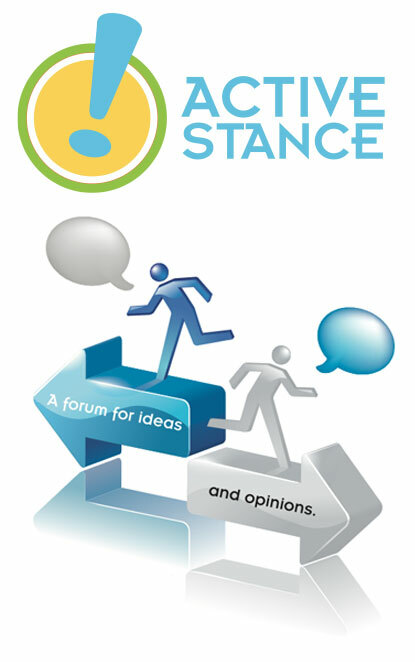 Physicians, knee surgeons, rehabilitation clinicians, and others (ie, psychologists, public health educators, social scientists, architects, civil engineers, wellness professionals, and environmentalists) must interact more effectively to develop a more cohesive, better integrated, and shared conceptual framework that draws together discipline-specific theories, concepts, and approaches to address environmental and societal issues associated with preventing or delaying knee OA and preserving knee function. This framework can serve as a comprehensive organizing construct for patient care as well as for research that bridges discipline-specific theoretical and methodological orientations to better define and analyze knee OA as a worldwide health problem.17,35,36 This process can lead to new, more practical and more cost effective approaches to solving societal, environmental, and personal problems related to knee OA. John Nyland, DPT, SCS, EdD, ATC, CSCS, FACSM, is professor of health and natural sciences and program director of the Athletic Training Program at Spalding University in Louisville, KY. David N.M. Caborn, MD, is clinical professor in the Department of Orthopaedic Surgery at the University of Louisville and director of Sports Medicine at KentuckyOne Health in Louisville. Roland Jakob, MD, is an orthopedic surgeon at the Hôpital Cantonal, Department of Orthopaedic Surgery, in Köniz, Switzerland. 1. Sallis JF, Cervero RB, Ascher W, et al. An ecological approach to creating active living communities. Annu Rev Public Health 2006;27:297-322. 2. Stokols D. Translating social ecological theory into guidelines for community health promotion. Am J Health Promot 1996;10(4):282-293. 3. Van Ginckel A, Baelde N, Almqvist KF, et al. Functional adaptation of knee cartilage in asymptomatic female novice runners compared to sedentary controls. A longitudinal analysis using delayed gadolinium enhanced magnetic resonance imaging of cartilage (dGEMRIC). Osteoarthritis Cartilage 2010;18(12):1564-1569. 4. Kon E, Filardo G, Drobnic M, et al. Non-surgical management of early knee osteoarthritis. Knee Surg Sports Traumatol Arthrosc 2012;20(3):436-449. 5. Englund M, Guermazi A, Lohmander LS. The meniscus in knee osteoarthritis. Rheum Dis Clin North Am 2009;35(3):579-590. 6. Wang Y, Dempsey AR, Lloyd DG, et al. Patellofemoral and tibiofemoral articular cartilage and subchondral bone health following arthroscopic partial medial meniscectomy. Knee Surg Sports Traumatol Arthrosc 2011;20(5):970-978. 7. Söderbaum P. Understanding Sustainability Economics: Towards Pluralism in Economics. London: Earthscan; 2008. 8. Daly H. Ecological economics: The concept of scale and its relation to allocation, distribution, and uneconomic growth. In: H. Daly, ed. Ecological Economics and Sustainable Development: Selected Essays of Herman Daly. Cheltenham, UK: Edward Elgar; 2007:82-103. 9. Larose J, King J, Brosseau L, et al. The effect of walking on cardiorespiratory fitness in adults with knee osteoarthritis. Appl Physiol Nutr Metab 2013;38(8):886-891. 10. LaStayo PC, Meier W, Marcus RL, et al. Reversing muscle and mobility deficits 1 to 4 years after TKA: A pilot study. Clin Orthop Relat Res 2009;467(6):1493-1500. 11. LaStayo PC, Woolf JM, Lewek MD, et al. Eccentric muscle contractions: their contribution to injury, prevention, rehabilitation, and sport. J Orthop Sports Phys Ther 2003;33(10):557-571. 12. Marcus RL, Yoshida Y, Meier W, et al. An eccentrically biased rehabilitation program early after TKA surgery. Arthritis 2011;2011:353149. 13. Vainionpaa A, Korpelainen R, Vaananen HK, et al. Effect of impact exercise on bone metabolism. Osteoporosis Int 2009;20(10):1725-1733. 14. van Praag H. Exercise and the brain: Something to chew on. Trends Neurosci 2009;32(5):283-290. 15. Winett RA, Williams DM, Davy BM. Initiating and maintaining resistance training in older adults: A social cognitive theory-based approach. Br J Sports Med 2009;43(2):114-119. 16. Wondrasch B, Aroen A, Rotterud JN, et al. The feasibility of a 3-month active rehabilitationprogram for patients with knee full-thickness articular cartilage lesions: the Oslo Cartilage Active Rehabilitation and Education Study. J Orthop Sports Phys Ther 2013;43(5):310-324. 17. Wright LJ, Zautra AJ, Going,S. Adaptation to early knee osteoarthritis: The role of risk, resilience, and disease severity on pain and physical functioning. Ann Behav Med 2008;36(1):70-80. 18. Leskinen J, Eskelinen A, Huhtala H, et al. The incidence of knee arthroplasty for primary osteoarthritis grows rapidly among baby boomers: A population-based study in Finland. Arthritis Rheum 2012;64(2):423-428. 19. Stone KR, Adelson WS, Pelsis JR, et al. Long-term survival of concurrent meniscus allograft transplantation and repair of the articular cartilage: A prospective two- to 12-year follow-up report. J Bone Joint Surg Br 2010;92(7):941-948. 20. Nyland J, Jakob R. Multi-factorial sustainability approach is necessary to preserve knee function following osteoarthritis diagnosis. World J Orthop 2013;4(4):175-177. 21. Lavernia CJ, Sierra RJ, Hungerford DS, Krackow K. Activity level and wear in total knee arthroplasty: A study of autopsy retrieved specimens. J Arthroplasty 2001;16(4):446-453. 22. Nyland J, Kanouse Z, Krupp R, et al. Total knee arthroplasty in motivated patients with knee osteoarthritis and athletic activity approach type goals: a conceptual decision-making model. Disabil Rehabil 2011;33(17-18):1683-1692. 23. Valdes AM, Spector TD. The clinical relevance of genetic susceptibility to osteoarthritis. Best Prac Res Clin Rheumatol 2010;24(1):3-14. 24. Brand E, Nyland J, Henzman C, McGinnis M. Arthritis self-efficacy scale scores in knee osteoarthritis: A systematic review and meta-analysis comparing arthritis self-management education with or without exercise. J Orthop Sports Phys Ther 2013;43(12):895-910. 25. Binder A, Stokols D, Catalano R. Social ecology: An emerging multidiscipline. J Environ Educ 1975;7(2):32-43. 26. Hallam JS, Petosa R. The long-term impact of a four-session work-site intervention on selected social cognitive theory variables linked to adult exercise adherence. Health Educ Behav 2004;31(1):88-100. 27. Maly MR, Costigan PA, Olney SJ. Determinants of self efficacy for physical tasks in people with knee osteoarthritis. Arthritis Rheum 2006;55(1):94-101. 28. Marks R. Efficacy theory and its utility in arthritis rehabilitation: Review and recommendations. Disabil Rehabil 2001;23(7):271-280. 29. Nelson AE, Elstad E, Devellis RF, et al. Composite measures of multi-joint symptoms, but not of radiographic osteoarthritis, are associated with functional outcomes: the Johnston County Osteoarthritis Project. Disabil Rehabil 2014;36(4):300-306. 30. Bonnin M, Laurent JR, Parratte S, et al. Can patients really do sport after TKA? Knee Surg Sports Traumatol Arthrosc 2010;18(7):853-862. 31. Bonnin MP, Laurent JR, Zadegan F, et al. Can patients really participate in sport after high tibial osteotomy? Knee Surg Sports Traumatol Arthrosc 2013;21(1):64-73. 32. Bullens PH, van Loon CHM, de Waal Malefijt MC, et al. Patient satisfaction after total knee arthroplasty: A comparison between subjective and objective outcome assessments. J Arthroplasty 2001;16(6):740-747. 33. Iorio R, Healy WL, Applegate T. Validity of preoperative demand matching as an indicator of activity after TKA. Clin Orthop Relat Res 2006;452:44-48. 34. Noble PC, Conditt MA, Cook KR, Mathis KB. The John Insall Award: Patient expectations affect satisfaction with total knee arthroplasty. Clin Orthop Relat Res 2006;452:35-43. 35. Bijlsma JW, Knahr K. Strategies for the prevention and management of osteoarthritis of the hip and knee. Best Prac Res Clin Rheumatol 2007;21(1):59-76. 36. van Dijk GM, Veenhof C, Lankhorst GJ, et al. Vitality and the course of limitations in activities in osteoarthritis of the hip or knee. BMC Musculoskelet Disord 2011;12:269.